Where better to inspire your delegates than the venue that has led athletes to gold and will continue to host premier sporting event? Built to host London 2012, the former Olympic Stadium at Queen Elizabeth Olympic Park has been re-named London Stadium in preparation for legacy use by West Ham United Football Club, UK Athletics, World Rugby League and global touring artists seeking to stage music concerts in a world-class setting. 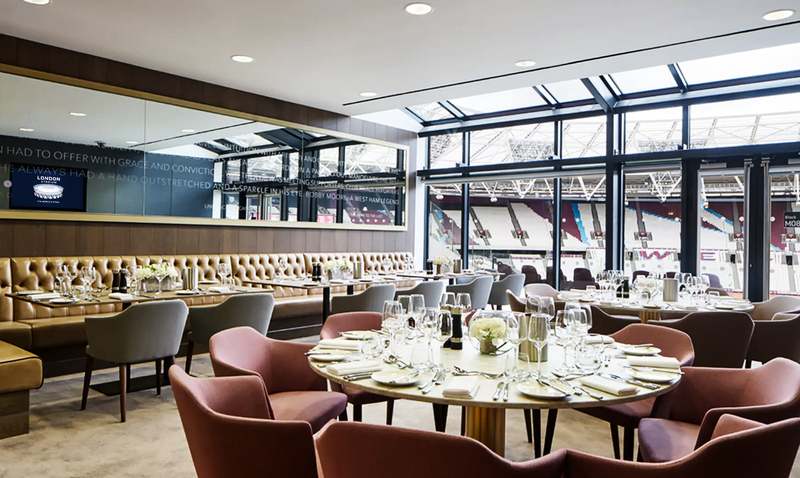 Whether you want a meeting for 6 delegates or a conference for 260 attendees, the London Stadium has got it covered. They have a variety of different sized rooms that offer flexibility for both breakouts and refreshments. Team building activities can also take place on their Community Track. The venue creates bespoke packages, meaning we can customise our experience with them, giving you exactly what you want and need for your team building event. Ideal for: Crystal Challenge, It’s A Knockout, Awakening the Dead, Stocks in the City, Mixology, The Ultimate Team Build, Get in the Zone, Escape the Box, No Ordinary Quiz, Crystal Challenge, Murder Mysteries, Ipad Movie Making and much more!